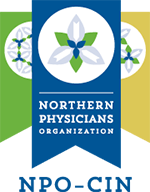 In our particular case, all of our physicians are residency trained and board-certified family physicians, so we understand and value the longitudinal relationship between providers and patients. Having said that, in the interest of best serving our patients, it is important for us to focus on the acute issue in front of us recognizing that most patients are seeing us based on time constraints (convenience or inability to get in to their PCP when they want to) and cost considerations (we are less expensive than the ED), and that most patients want a quick visit/outcome and are not seeing us with their long term problems in mind. It is important for US (urgent care providers) to be aware and understand that the impact of what we do during the visit DOES have an impact on chronic issues in many cases. Therefore, to bring true value as partners in value-based care it is important that we be aware of the patient’s chronic issues and that we communicate with the PCP regarding the acute decisions that we make and any other changes that we make for the patient. We are able to provide access to acute services at the POC that are often not available at the PCP office but do not need to be provided at a hospital: laceration repair, FB removal, and x-rays would top the list. Patients have choices, and trust is a critical component in providing care to patients. Just as consistency in the relationship with PCPs is important, it is equally important in episodic recurrent care, which is a common way that care is provided in Walk-In Clinics. We see many patients on a recurring basis. To bring value, it is important to let patients know that we communicate with their PCP, and their PCP supplies relevant information to the shared EHR so that we are aware of critical health care issues. It is also important for the PCP to have a level of trust that the Walk-In Clinic will provide good care and communicate appropriately with the PCP. The more that we are a part of the system, the more that trust is built and maintained. A significant percentage of the patients that we see in TWIC are not routinely seeing their PCP for a variety of reasons—convenience and ease of access are factors, but so is poor planning. When we see these patients, we may identify chronic issues and are able to route the patients back to their PCP, or at the least by sending our documentation we can inform the PCP office of issues. Actively encouraging primary care follow up and establishment of ongoing care relationships helps to improve care and bring value. Along with this, Urgent care centers create significant savings for both payers and patients. UC visits are typically significantly less costly than an emergency room visit; a high percentage of emergency room visits could take place at an urgent care center, saving both patients and payers significant dollars. 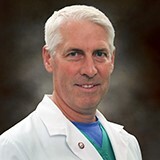 Peter Springsteen MD is a board-certified family physician who has been in active practice for the last 27 years. He attended Michigan State University, graduating with Honors. He then went on to earn his medical degree through Wayne State University School of Medicine. He completed his Family Medicine Residency at the Grand Rapids Medical Education Center. He is currently practicing at The Walk-In Clinic in Traverse City MI.